Last month the European Commission shut down Europe’s carbon trading market after computer hackers exposed a glitch in the Emissions Trading System. James Kanter, E.U. Closes Emissions Trading System After Thefts, N.Y. TIMES, (Jan. 19, 2011), available at http://www.nytimes.com/2011/01/20/business/global/20iht-carbon20.html. According to Bloomberg, the hackers stole approximately 2 million permits worth €29.5 million, or $41.1 million, in carbon allowances from the system. Ewa Krukowska and Mathew Carr, Carbon Permit Trading Halt Entering Second Week; EU Registers Still Closed, BLOOMBERG, (Jan. 26, 2011), http://www.bloomber.com/news/2011-01-26/carbon-permit-trading-entering-second-week-eu-registers-still-closed.html. The countries involved in the hacking scheme were Austria, Greece, the Czech Republic, Poland and Estonia, with the permits from the Czech Republic registry worth €7 million, or $9.3 million, alone. Id. 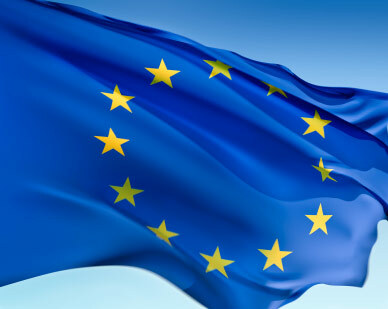 The European Commission initially stated the Emissions Trading System (hereinafter, “ETS”) would re-open on Jan. 26, however, this has been pushed back because of the continuing investigation by the European Commission, and until all the European Union (hereinafter, “EU”) member states involved in the carbon trading market can show they have adequate security measures in place. See James Kanter, E.U. Closes Emissions Trading System After Thefts, N.Y. TIMES, (Jan. 19, 2011), available at http://www.nytimes.com/2011/01/20/business/global/20iht-carbon20.html. The European Commission regulates the carbon trading market, which is the largest emissions market in the world. Id. The EU ETS is based on the “cap and trade” principle. European Commission Climate Action, Emissions Trading System (EU ETS), available at http://ec.europa.eu/clima/policies/ets/index_en.htm (last visited Jan. 26, 2011). Despite the on-going security problems with the system, the “cap and trade” principle is a beneficial way to combat and lower greenhouse gas emissions. Under this principle, there is a limit, a “cap,” on the amount of gases that can be released by each member country. Id. Currently, the companies in these countries are allotted a certain amount of greenhouse gases, which is shown in their permits. Id. The amount of gas allowed is determined by each individual EU member state; however, this amount will change in 2013 when the EU will set the limit on greenhouse gas emission for each state. Id. The companies are allowed to trade the permits with other companies for profit to fit their needs depending on the amount of gasses they will release. Id. At any given years end, the companies must show permits to cover every tonne of greenhouse gas they emit, or face significant fines. European Commission Climate Action, Emissions Trading System (EU ETS), available at http://ec.europa.eu/clima/policies/ets/index_en.htm (last visited Jan. 26, 2011). Overall, this trading system encourages companies to decrease their amount of greenhouse gas because if they exceed their limit, they must buy highly priced permits from other countries. The system already has shown to be viable because by 2020, it is projected that the amount of gas released will be 21% lower than in 2005. Id. With increased security measures to prevent fraud and cyber attacks, other countries should consider the beneficial nature of the “cap and trade” system for the environment, and the potential to reduce the world’s total greenhouse gas emissions.